The begrudgers will have you believe Zamano’s a value trap… If so, it’s a bloody impressive one, offering attractive exposure to the UK & Irish consumer, revenue (now at €23.3 million) growth of 24% in 2014 & a likely repeat for 2015, an annual €2.7 million of free cash flow, and net cash of €5.4 million…all priced on a 3.1 EV/EBITDA multiple. Unfortunately, management’s obviously neglected shareholder value to date, but this will change as: i) inevitably, its three major shareholders (who own 52%) become increasingly frustrated & seek (new) buyers for the company, and/or ii) management wises up (self-preservation’s as good a reason as any), starts talking up the stock, and gets serious about enhancing & realising shareholder value (a tender offer is the ideal solution, while a dividend’s an obvious first step, as I recently proposed). Meanwhile, based on its current market cap, ZMNO offers new investors an effective 18% RoE (escalating to a 35% RoE, on an ex-net cash basis). Sometimes I wake at night & I see dead people…but I just smile & drift right off to sleep again. ‘Cos what’s more comforting & uncorrelated an investment than a bunch of codgers popping their clogs?! Especially one trading at a 17% discount to NAV (adjusting the Nov-2015 NAV for today’s £/$ rate, all else being equal). Granted, over the years, TLI had to revise up its LE estimates significantly (as did the industry), but it’s had none of the legal risks/issues we’ve seen elsewhere. And its portfolio is far older, with a weighted average age of 92 yrs & a 4 yr LE, leaving the old dears with v little room for error… After a $10 million policy windfall in just 5 months, TLI’s got another $122 million (£84 million) of maturities ahead (primarily, within 1.5-5.5 yrs) – albeit, premiums will cost $8.8 million pa. Meanwhile, shareholders enjoy a 12% IRR (embedded in TLI’s valuation) & some inevitable discount compression. And as in FY-2015, potentially we’ll see another 4p in distributions (an effective 9.5% yield)…of course, the board will cite ongoing premium payments, but net cash already stands at $8.2 million (i.e. 7.8p cash per share). NWT’s a classic dirt-cheap UK micro-cap. Which is undeserved…it spends heavily on R&D, it’s carved out a valuable niche with its electronic & physical security systems, it punches above its weight with customers, and has a globetrotting sales-oriented CEO. [See this recent interview – interesting to see Dwek’s subtle criticism of the company’s previous sales effort (under her father)]. More importantly, revenue’s grown 75% in just three years (& the dividend’s tripled in just two years). Not surprisingly, the shares rallied 50%+ since my write-up 15 months ago, but are now being held back by Newmark’s FY-2016 (ending April) outlook…a transition year, as longer-term sales & development projects gestate. Based on her record to date, the CEO deserves our trust & shareholders should look ahead to the ‘rewards’ to come in FY-2017 & later years. [And historically, the company’s tended to be overly-conservative in its outlook]. Fortunately, NWT has £3.9 million of net cash on hand, and it trades on a historic 7.2 P/E ratio, a 3.0 EV/EBITDA multiple, and a 0.6 P/S ratio (vs. a 10% operating margin), which should offer useful support as FY-2016 figures are reported (end-Jan & early-Aug). Saga’s a perfect quad-play…on fur, luxury goods, China & Russia! Sweet Jesus, can you imagine anything worse? Yeah, but buried in that kind of reaction’s where you find the real bargains. In the last decade, fur’s again become integral to fashion & luxury collections. And the industry’s unique – Europe has a controlled & vastly superior product to China, in terms of quality & animal welfare, and Saga Furs & Kopenhagen Fur (its unlisted rival) are the primary auction house conduit between breeders & global luxury/fashion buyers. [A moat & a toll-bridge..!?] Despite its own premium luxury Saga Furs brand, trade buyers make for an inherently volatile business model. Which makes Saga a cyclical growth company, with auction sales last peaking at €889 million in FY-2013 (almost 120% higher vs. the prior FY-2006 peak). Coupled with economic/anti-corruption issues in Russia & China, for example, this obviously presents a real investing challenge. [Though longer-term, I still anticipate relatively untapped demand for fur, esp. in emerging markets]. But the stock’s priced accordingly: Trading on an 8.1 P/E ratio, a 1.0 P/S ratio (vs. a 26% long-term average adj. operating margin), a 6.0% yield (a €1.00 dividend is proposed), and a 0.6 P/B multiple (for the pessimistic, I’m confident this would be more than realised in a wind-down/liquidation scenario). 2016 should be a make or break year: The key event’s an April court date to appeal the €26.2 million valuation (pretty substantial vs. DCP’s current market cap) of its 30% stake in Monaghan Middlebrook Mushrooms. Presuming this approx. valuation is determined to be reasonable (& I think it is), MMM/Ronnie Wilson will need to comply with the court order to buy out Donegal. Resulting proceeds should obviously be returned to shareholders via a tender offer (debt pay-down’s no longer necessary, or sensible). The logic of the strategy is compelling, noting DCP’s NAV & earnings have stagnated for 5 years now. And with earnings averaging an adjusted 50 cents pa, the current share price (at 1.0 times Book) makes sense. But ultimately, Donegal’s value isn’t found in its earnings, its diversification, or even its core Produce division (whose operating margin has declined from 10% five years ago, to losses today) – it’s found in its intrinsic value (a EUR 9.46 Base Case NAV still looks reasonable on a Sum-of-the-Parts basis), and more importantly, it’s in the potential to wind-down its entire portfolio & progressively cannibalise its outstanding shares (thereby transforming DCP into a multi-bagger investment). The long-term logic of investing in frontier markets hasn’t changed, in terms of growth or value, but I can’t deny it’s a tough proposition these days for investors..! For me, cherry-picking markets is the best solution, and Vietnam offers one of the more compelling country bets in the world. I could quote you all the fundamentals, but I won’t…because I prefer to look back to the last 30-40 years of history. And based on that perspective, I believe Vietnam’s now ideally positioned to leap-frog ahead & become the Next China. Now, Vietnam Holding (VNH:LN) might be the more obvious (listed) equity play, and it’s out-performed more recently. But in frontier markets, investors have little clue how the major asset classes might perform in relative terms, so VOF’s more diversified equity, real estate & unlisted/private equity portfolio is attractive & it’s actually delivered a superior long-term performance. VOF also offers a 26% discount to NAV & a board that’s committed to closing this discount (they’ve already spent $227 million on buybacks, in just over 4 years). Mention Tetragon, and somebody inevitably complains what greedy bastards management are… Perhaps, but if you’re a shareholder, I’d argue they’re now your greedy bastards! When you look at the company today, it seems obvious chiseling shareholders is ultimately worth far less than the accretive impact of continued buybacks & the potential average/peak valuations which can be attained if/when TFG transforms itself into a top tier/global alternative asset manager. [Granted, US hedge fund/private equity valuations are collapsing…so if they’re the canary in the coal mine, we may have a much bigger S&P collapse on our hands! Otherwise, the sector should manage to stabilise/rebound]. TFG has a strong balance sheet, its portfolio is increasingly diversified (while the core CLO portfolio remains a substantial cash generator), a tougher market makes it a more attractive ‘home’ for potential hedge fund stars, it pays a 6.8% yield (which can be reinvested via a DRIP), and after the recent $60 million tender offer it now trades for about 50 cents on the dollar. KWG Kommunale’s become a bit of an orphan company since Conwert Immobilien (CWI:AV) became its majority (80%) stakeholder – its website’s now German-only, and its two former key executives have both departed. And with CWI’s share price now climbing slowly but surely, and nearing a premium to book value, its interest in potentially obtaining a higher valuation for its German property portfolio via KWG diminishes accordingly. On the other hand, German residential property remains a compelling investment theme, esp. in the current European environment, and KWG still offers investors one of the cheapest high quality residential portfolios available. Vacancies continue to decline, rents are rising steadily, its 54% Loan-to-Value ratio is very reasonable, and despite a significant revaluation to date the company still trades on a 0.9 P/B ratio (& a 17% discount to NNNAV). By comparison, KWG’s largest peers now trade on an average 1.4 P/B ratio. Management has right-sized the business again to match Argo’s declining revenue, but has had zero success raising new AUM, while wilfully continuing to neglect the stock price & shareholder value. And personally, I’ve seen little willingness on management’s part to engage with & advance any kind of serious discussion with potentially interested acquirers (of its business, or assets). On the other hand, I believe my ongoing activist pressure has helped push management to finally reach an agreement & dispose of its major fund(s) stake in TPPI. This frees up cash to settle $5.8 million in outstanding management fees (in addition to $1 million of net cash on hand), and should permit a significant redemption from its $14 million of fund investments. [For now, let’s ignore any incremental value in other net loans/receivables & the asset management business itself]. Which leaves Argo trading on a near-60% discount to net cash & investments (& a mere 30% premium to net cash), with management finally committed to considering an annual dividend, and/or a return of capital via a buyback. Unfortunately, we mightn’t hear anything further ’til March (or even June), when final results are reported – at that point, a strategic review/sale is obviously up for consideration again. Shared a little whisper about this one already on Twitter – it’s a luxury goods company with a 20-30% (current) growth rate, a sub-15 P/E ratio, and a minimal (but fast-growing) exposure to China. A large-cap company which boasts a leading/dominant local market position & offers investors a high growth economic pure-play – based on core/underlying earnings, it only trades on a 10.2 P/E ratio (or an even lower 9.6 P/E ratio, on an IFRS basis). A mid-cap European company – presumed by many to be a classic cyclical stock, but is in fact a classic secular growth stock which also offers attractive contra-cyclical characteristics. Has actually enjoyed a (primarily organic) 20%+ CAGR in revenue for 15 years+ now, but currently trades on an ex-net cash 12.8 P/E ratio. A small hat-tip here – while I consider Zamano a deep value/special situation investment, it also provided me with the original inspiration for an in-depth investigation of a particularly compelling secular investment theme. I’m talking about the global smartphone revolution – which may now be even more exciting in the far larger emerging/frontier market populations, where people are leap-frogging the personal computer age…they simply aspire to owning a smartphone instead. Equally exciting is the global transition of advertising, commerce, media, etc. to mobile, as they frantically chase this revolution. [Check out a16z’s ‘Mobile Is Eating The World’]. Moving on from the last portfolio allocation I shared with readers, I’m now occupied carving out two new sector/investment theme allocations (including stocks both old & new), which at this point already comprise nearly a third of my portfolio! [I’ll publish a new portfolio allocation in due course]. One of them is obviously MOBILE…and I specifically chose the word ‘Mobile’ because this investment theme’s far bigger than the smartphone revolution. It obviously includes wireless hardware/software/infrastructure/providers, communication, search, social networking, music & video streaming, mobile gaming, cloud computing, etc…and will ultimately move on to the Internet of Things (IoT) (which most people, in their daily lives, will experience primarily via wired homes & driver-less cars). [NB: I don’t necessarily like the competitive positioning, or the stratospheric valuations, in some of these areas!] In 2016, I hope I’ll have an opportunity to post more about this, and/or a relevant stock or two. And meanwhile, my apologies, but all I’m revealing now about Company D is that…surprise, it’s a large-cap MOBILE play. OK, that’s it. Now, let me just wish each reader the Best of Luck in 2016! With BREXIT, I view there are good value investing opportunities especially in forex play and gold investments. UK property market will be badly hit too due to rising unemployment rate. Hi Value Investing Singapore – yes, hopefully post-Brexit UK is a happy hunting ground for investors. My one proviso – think it more of an opportunity to perhaps acquire high quality companies (that you would have considered buying pre-Brexit anyway) at a better price, I wouldn’t necessarily rush to buy if it’s purely to take advantage of a cheaper market & currency. 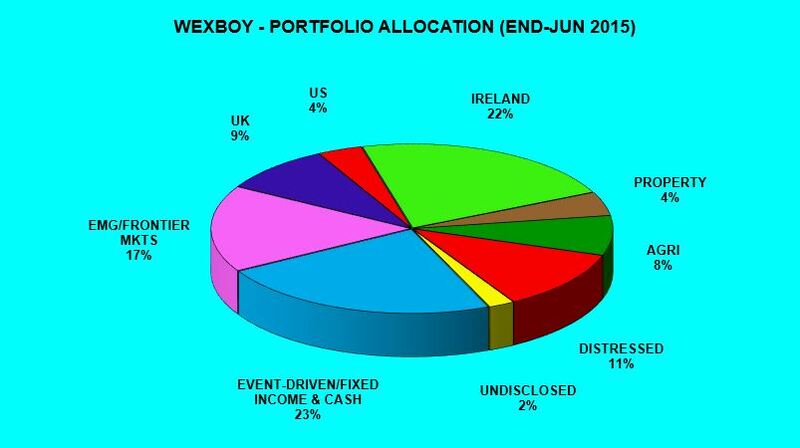 Hello Wexboy. TLI plummetted more than 30% because of brutal and rather unexpected increases in premium from certain insurers. Time to cut : maybe other insurers will follow so NAV could drop massively-or time to add :only certain contracts targeted, like the ones with minimum guaranteed returns, and class actions ongoing….. very curious to get your thoughts! Contrary to my initial expectations, Conwert (whether intentionally, or unintentionally) has proved relatively unfriendly for KWG Kommunale shareholders…for example, key management/value creators have departed & haven’t been replaced, and English language IR has been abandoned. [Considering the valuation differential between German & Austrian property companies, I still consider this a short-sighted strategy by Conwert]. Tender offer price doesn’t surprise me, it’s pretty close to NAV & probably the best that can be expected here…in fact, if/when KWG ends up delisted, book value’s definitely the best a shareholder can hope for…and the same applies if this ends up in court at some point, as I suspect a judge won’t be too sympathetic to the logic of a large premium to book (even if larger peers are trading at that kind of market valuation). Market price has been oscillating between EUR 10.40-60 – makes sense, as some shareholders are impatient & just want to exit/move on. Also reflects the fact that Conwert’s only tendering up to 93% of KWG’s shares – so there’s a chance you get pro-rata’d & end up with about a third of your holding trapped in a delisted company – this is likely encouraging some shareholders to sell also – although there may be a shareholder bloc which has indicated it intends to remain invested, so Conwert may expect to cash out all other shareholders fully. But noting Conwert’s history here to date, I’m NOT interested in being a shareholder in KWG as a delisted company – I’m not suggesting anything egregious will happen, but there’s no reason to believe KWG will now be such an exceptional investment opportunity that it justifies staying invested here (& all the implied attendant risks) vs. investing elsewhere in the sector. Trouble is, the sector large-caps now trade for an average 1.4 times book…so the market’s anticipating further capital gains to come, and a likely transition to a more dividend-driven/REIT proposition as the current acquisition/consolidation phase comes to an end. That kind of pricing means German residential property isn’t such an easy/no-brainer bet any longer – though if you’re bearish on the markets, it may be a premium worth paying for what I think is one of the ultimate ‘flight to safety’ assets. The alternative, of course, is to sit down & re-survey the listed German property sector, in the hopes of finding another KWG…i.e. a still relatively undiscovered stock/company that offers an attractive relative/absolute valuation and/or prospective NAV growth!? hi wexboy, thanks a lot for your detailed reply. on the one hand i understand the risks you describe (sitting on a delisted stock investment), on the other hand I really like the KWGs strategy (with their focus on B- and C-locations and very frugal criteria when the buy new assets) and the exposure to the german real estate market. finding another kwg may take years (assuming a similar price I paid for kwg). at least I dont see any interesting alternatives at the moment. i also own some Immofinanz stock, which is an Austrian real estate company. very cheap if you look at price to nav, but with lots of exposure to eastern europe and russia. so not the low risk you get with german real estate. will probably stay in my kwg Position and wait what happens. – For me, the Russia/E Europe focused Austrian property companies have always been tempting, but also disappointing… Always liked the Raven Russia (RUS:LN) story myself – in terms of logistics/infrastructure, I’d agree with management it offers an attractive secular opportunity. NAV history is crap, due to obvious/periodic Russian convulsions, but all Russian property companies have the same problem – but clearly the RUS:LN share price is pretty beaten down now (RUSP:LN is worth considering too – which I wrote up previously: https://wexboy.wordpress.com/2013/03/29/my-dirty-little-dividend-secret/). That being said, I’m in no rush to actually buy Russian property exposure right now! So while I definitely like the long term outlook, for the moment Tetragon remains a share for those with patience & a tolerance for (possibly more) pain…but the huge NAV discount & the high dividend should certainly help! TFG is not performing well. have you any thoughts on why this is so. Are investors worried by the loans not performing due to the global economy not doing so well. The dividence yield looks great is there a risk of this being cut. The PE looks very low. Nice blog by the way, keep up the good work. Tetragon Financial Group $TFG:NA is a real waiting game, alright..
Not that surprising really for such a long-neglected stock, and considering management’s prior reputation. But obviously the portfolio & operational strategy have been changing slowly but steadily, as management seeks to transform TFG into a more diversified alternative asset & seeding platform/manager. Unfortunately, TFG’s now being impacted by the current market environment & sentiment, which has been particularly brutal for alternative asset management valuations (by comparison, TFG’s actually held up remarkably well). When will TFG finally bloody enjoy a substantial re-rating?! That’s going to take time, so more patience is required, and now it will also require the market to stabilise… My holding is sized accordingly – and when I see an improved market, and particularly a step-change in TFG sentiment, I’d gladly increase my position even at a significantly higher price (I prefer to pay up for info/certainty!). Ta – will take a look. Thank you very much Wexboy for your excellent posts. I am very interested in Alternative Asset Opportunities. Does that really mean that the live insurance company will not have to pay the face value in case that a person still lives at the age of 100? Do you know in which way this risk (if I understood this correctly – it is a huge risk) is reflected in the NAV calculation? What surprises me is not the recent premium increase but the magnitude of the increase. Here the new premiums are 800k for policies with a face value or less than 10m. Those are outrageous premium which would make those life insurance policies worthless. Insurers are probably counting on the fact that contract holders would not want to spend on legal fees. Vietnam Opportunity Funds has a lot of dairy exposure. This is not diversification for all Irish farmers reading this blog trying to reinvest their millions from Kerry Group and GlanBia. I’m guessing large-cap Mobile play is MTN? Hmmm, MTN is just one of many possibilities…though obviously it’s a hell of a lot cheaper now after its whole Nigerian farce!